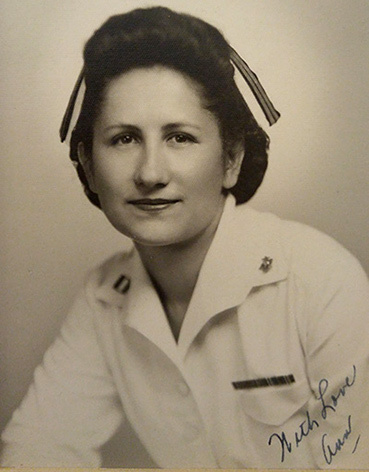 Pearl Harbor nurse Teresa Stauffer in her formal Army attire in the early 1940s. Teresa Stauffer Foster was strolling through a garden near Hawaii’s Tripler Hospital on a quiet Sunday morning when a low-flying plane approached. The pilot waved in her direction, so naturally, the Army nurse waved back. A few minutes later, the attack on Pearl Harbor began. Foster didn’t realize it at the time, but that plane was one of the many Japanese bombers that pulverized U.S. battleships and aircraft. It’s one of many stories remembered by military nurses who survived the attacks on Dec. 7, 1941, although you probably haven’t heard them much. “You hear stories about Pearl Harbor, and they’re all about the men. You hear very few stories about the women,” said Winnie Woll, Foster’s daughter. Woll, 73, is actually named for two of her mom’s best friends from Pearl Harbor, who were also nurses. 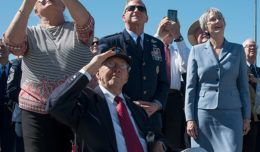 She now gives lectures to spread the stories of how they were pioneers of their time, having joined the services long before the Women’s Army Corps and the Navy’s Women’s Reserve program (WAVES) were established in 1942. When Woll’s mother joined, there were stringent rules for the women who wanted to enlist. 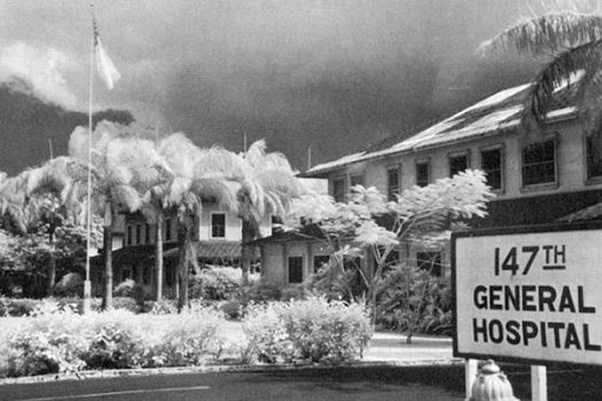 Tripler General Hospital around the time of the Dec. 7, 1941, Pearl Harbor attacks. Foster was sent to Pearl Harbor six months before the attacks. On the morning of Dec. 7, she was walking with other nurses who had finished their shifts when that plane flew past. “The man was waving at them. And you know what you do in a situation like that — you wave back, because you don’t really realize what’s happening,” Woll said. They did quickly after that, though, and were ordered back to their units. In today’s era of connectivity, where people tend to post their experiences to social media constantly, it’s hard to imagine a time when people didn’t overtly share their thoughts and feelings. But the World War II generation is well-known for that stoicism, with many of them never discussing what they went through. “It traumatized them to the point where they didn’t want to share what happened. They just wanted to forget it,” Woll said. 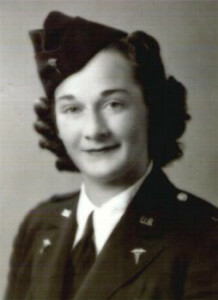 Ann Danyo (Willgrube) during her Navy Nurse Corps days. She has made it her mission to give a voice to the stories of the Pearl Harbor nurses, one of which was uncovered only by accident. Ann Danyo Willgrube joined the Navy Nurse Corps in 1940. She was an operating room nurse on the newly commissioned hospital ship USS Solace when the war began. But she didn’t share anything about her military life with her family. Her brother, Joe Danyo, who was 8 when Pearl Harbor was bombed, said he didn’t even know she’d been there until the late 1950s. So needless to say, he never expected to find a letter detailing what had happened to her that day. But he did, as he was cleaning out her house in the mid-1980s. “I was surprised to find that,” Danyo said. The letter was addressed to a high school student who was doing a report on Pearl Harbor and had learned she’d been there. The teen wanted to hear her story, so it was then — in 1981 — that she finally decided to tell it. In the letter, Willgrube talked about being “the envy of all the nurses” because she was assigned to the Solace — a cushy assignment — only 18 months after enlisting. The ship arrived in Pearl Harbor in late October 1941 and was docked at Ford Island near several of the battleships. All was going well until 7:55 a.m. on Dec. 7, when Willgrube was jarred awake by what she initially thought was a boiler explosion. The USS Solace played an integral role in helping survivors during the Pearl Harbor attacks, as well as many other campaigns throughout the South Pacific during World War II. “The ship shook, and everyone ran out on deck to see what happened. I looked out the porthole in my room and saw smoke pouring out of the [USS] Arizona. The next minute, our chief nurse burst into the room and told me to dress quickly and report to the quarterdeck for duty because the Japs were bombing us,” Willgrube wrote. 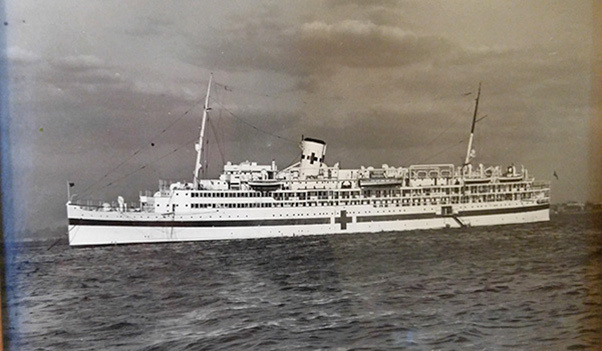 The Solace’s nurses worked around the clock that day to care for more than 130 patients who were brought aboard, 70 percent of whom were burn victims. She said they were too busy to worry about the roar of the guns, the shaking of the ship and the planes flying overhead. The surprise attack destroyed the Arizona, Oklahoma and Utah, and damaged several other U.S. ships and aircraft. More than 2,400 people were killed — half of whom had been on the Arizona, which still sits at the bottom of Pearl Harbor to this day. It was the worst attack America had ever seen, but Willgrube said it took days to realize how bad it actually was. “We were so thankful that the Japanese did not realize how they crippled us, because they could have taken over the islands had they known the truth,” Willgrube wrote. As for why Willgrube finally decided to share her story? So America remains prepared to defend itself. 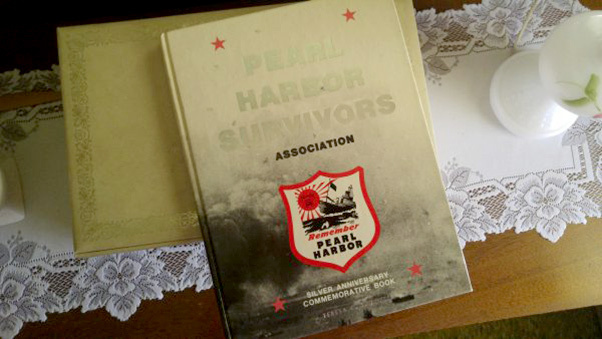 This Pearl Harbor Survivors Association commemorative book belonged to Army nurse Teresa Stauffer (Foster). Now it’s one of her daughter’s keepsakes. Willgrube was one of the first women to become a Navy shellback, one of many firsts that she would be part of over the years. 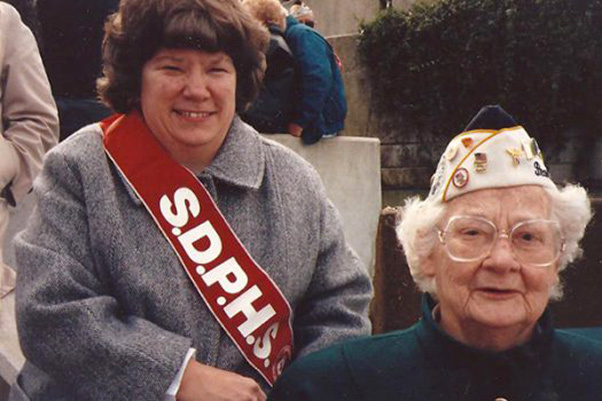 “When I entered the Navy, nurses had no specific rank but enjoyed the privileges of officers. In 1942, we received relative rank, and in 1947, we were classified as Nurse Corps with the same rank and privileges as the other officers,” Willgrube wrote. After 27 years of service, she retired as a commander and married retired Medical Services Corps Cmdr. Wayne Willgrube, who was also aboard the Solace during the Pearl Harbor attacks. Willgrube died in 1988 after a battle with Parkinson’s disease. She had some pretty interesting stories to tell in her letter, including about rumors that ran rampant directly after the attacks. To read her entire letter, visit http://www.dodlive.mil/index.php/2016/11/more-tales-of-pearl-harbor-nurses/. Winnie Woll, a member of the Sons and Daughters of Pearl Harbor Survivors group, with her mother, Army nurse Teresa Stauffer Foster, during a return visit to Hawaii in 1992. Woll shared the details of a few other nurses’ experiences, too, including a love story, a returned Purple Heart, and one involving Gen. George Patton. You can check those out here. As the Greatest Generation continues to dwindle, who knows how many amazing stories have been lost to time. That’s why it’s up to us and people like Woll and Danyo to share as many of these stories as we can. So if you have a family story to share, make sure you tell it to anyone willing to listen!